Hi everyone! I have some awesome KBShimmer polishes to show you today!! 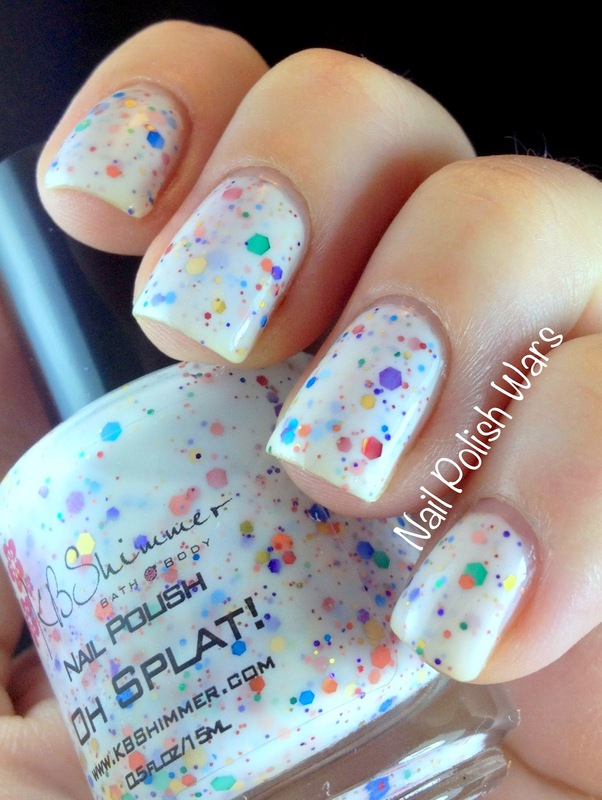 First up is Oh Splat!, a white jelly loaded with multi color and size hexes. I applied three coats for a fully opaque finish. The application was very easy and smooth. The glitters were not at all difficult to get on the nail, which can sometimes prove to be problematic. I know we've all been seeing some great whites with glitters lately, but, in my opinion, this one stands on it's own. It has something I haven't seen in any of the others: clarity. The white is such a pure clean color. 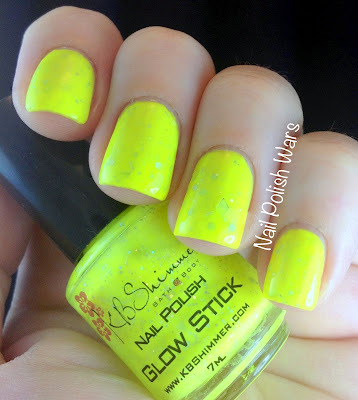 Next up is not part of the Fall Collection, but actually one from the Neon Collection. 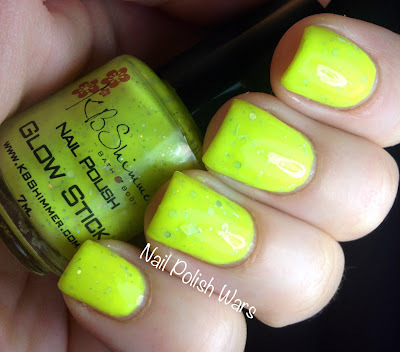 This fun glow in the dark polish is appropriately named Glow Stick. 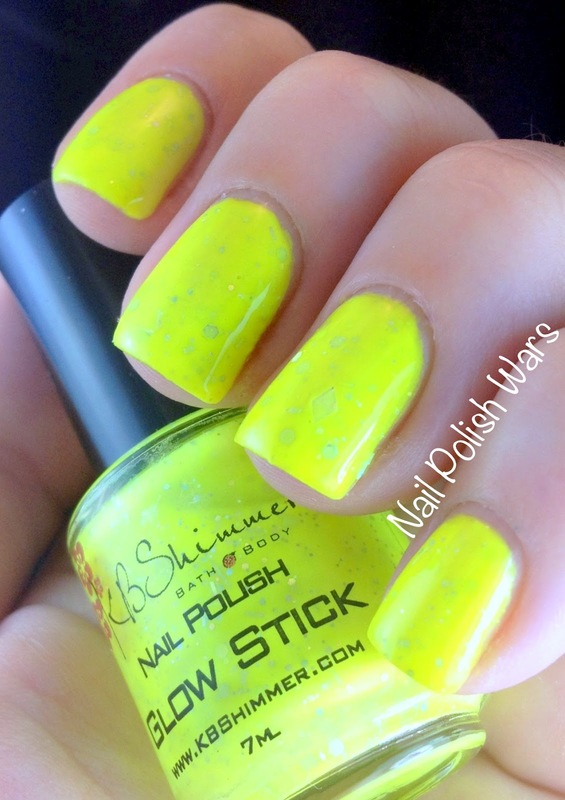 This bright yellow jelly, has a hint of neon lime, and is loaded with silver holographic stars, diamonds, bar, hex, and mini hex glitters. 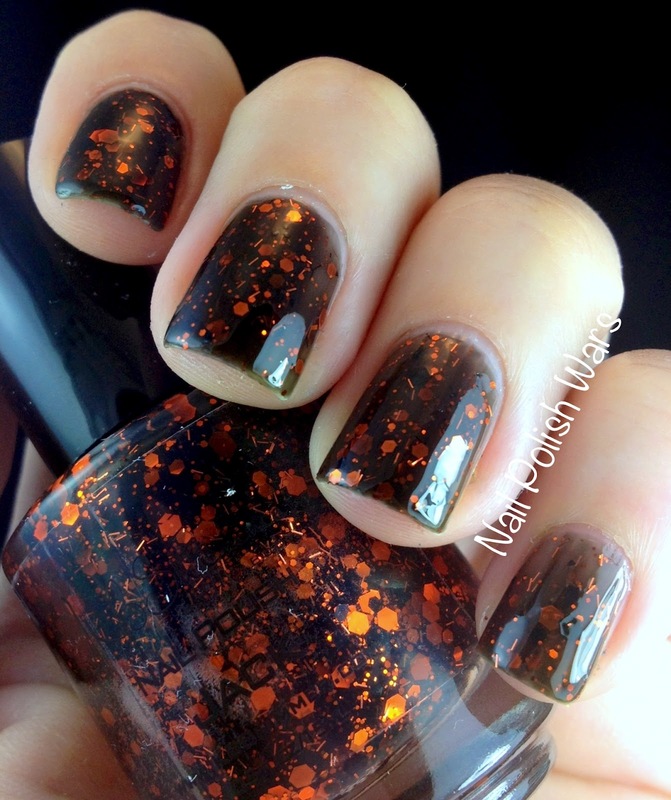 It took three coats for a fully opaque finish. The application was very easy, although the star and diamond glitters weren't exactly jumping out of the bottle if you know what I mean! The second polish from the Fall Collection is Toucan Touch This, a lime green jelly with multi color hex and fine bar glitters. This was another three coater, which is to be expected with jellies. I don't think I've ever said this before, but a little less glitter might have made for an easier application. It wasn't difficult to work with, but the glitter was coming out in lage groups!! This is such a fun color to wear, and the name cracks me up! It does give me more of a summer feel than that of fall, but that's just my opinion. 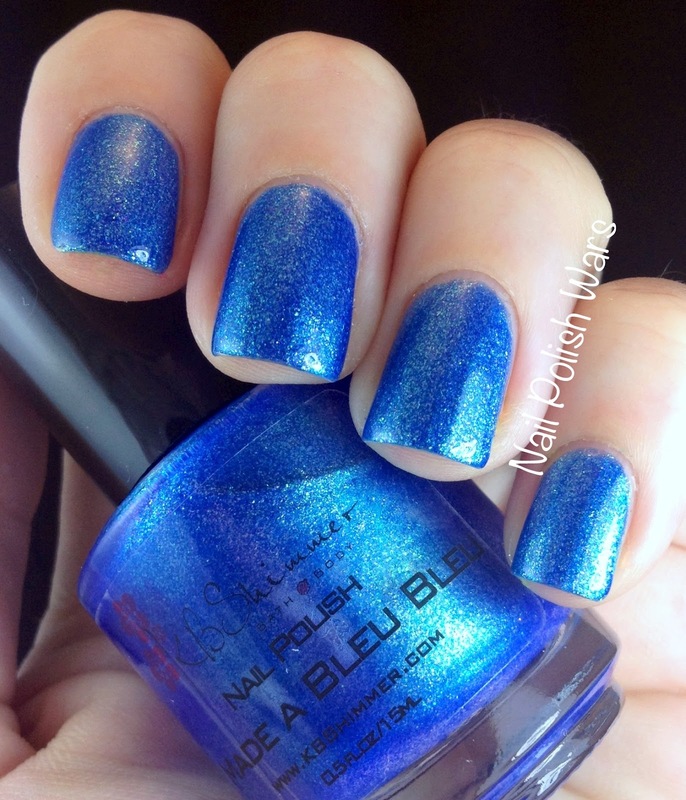 Up next is the dazzling I Made a Bleu Bleu, a royal blue shimmer with flashes of green, gold, and purple. Only two coats were needed for this little beauty! 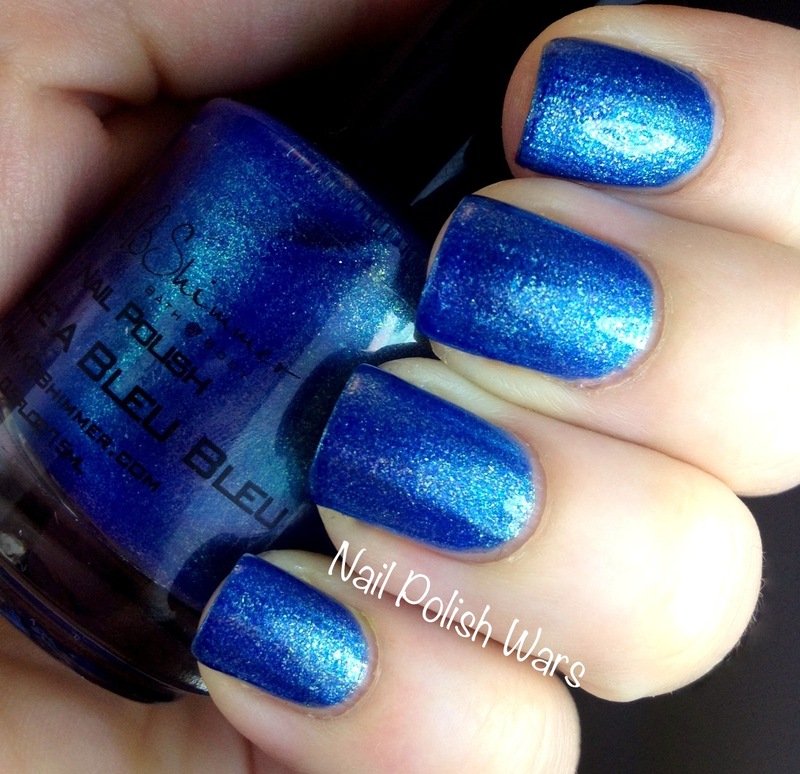 It almost reminds me of fabulous denim with a hip shimmer! Application was a complete breeze, utterly smooth and seamless. It has such a rich formula that I'm curious to know if it would make a good stamping polish as well! 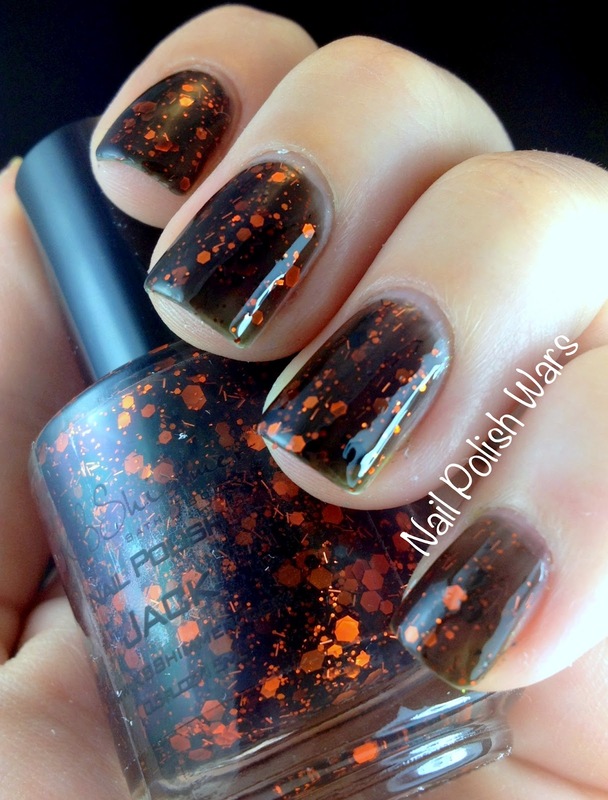 Here we have Jack, a black jelly with multi color and size orange hexes and fine bar glitters. 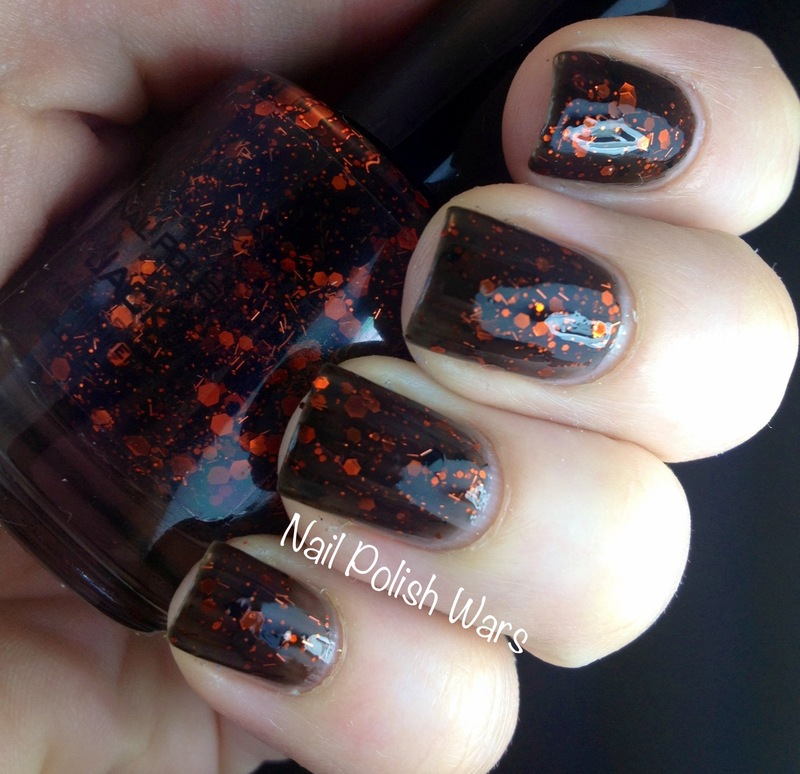 Now THIS is a great polish for fall! It feels like I have a cloudy day and falling leaves on my nails! 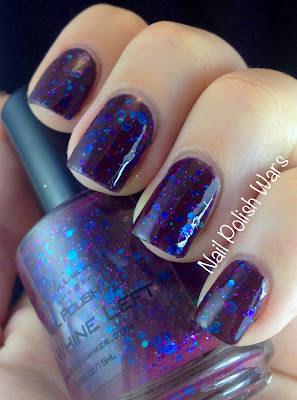 I used three coats for this look, and I absolutely love it! It went on very easily, and the glitter was extremely manageable. Last in line is my absolute favorite from this group, No Whine Left. 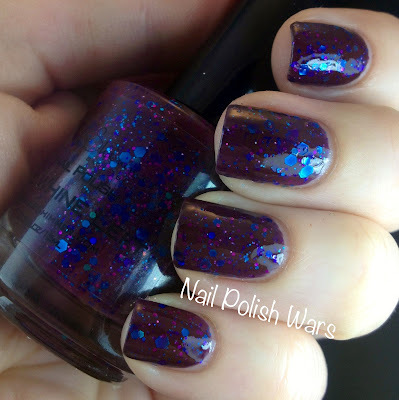 It is a deep plum with multi sized blue, fuchsia, and purple hexes. As far as the formula goes, it rides on the borderline of both a jelly and a creme, which is very different. 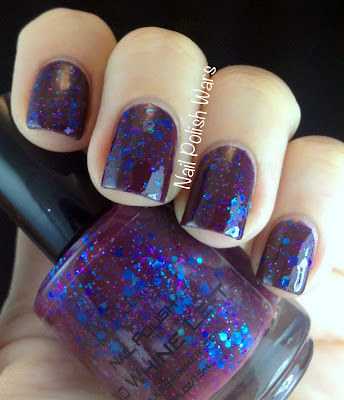 I used two coats during application, which was fabulous as well. I really cannot sing the praises of this one enough. It is absolutely spellbinding! I might even go as far as to say this is one of my favorite polishes to date. The plum color is so striking that it absolutely commands attention. 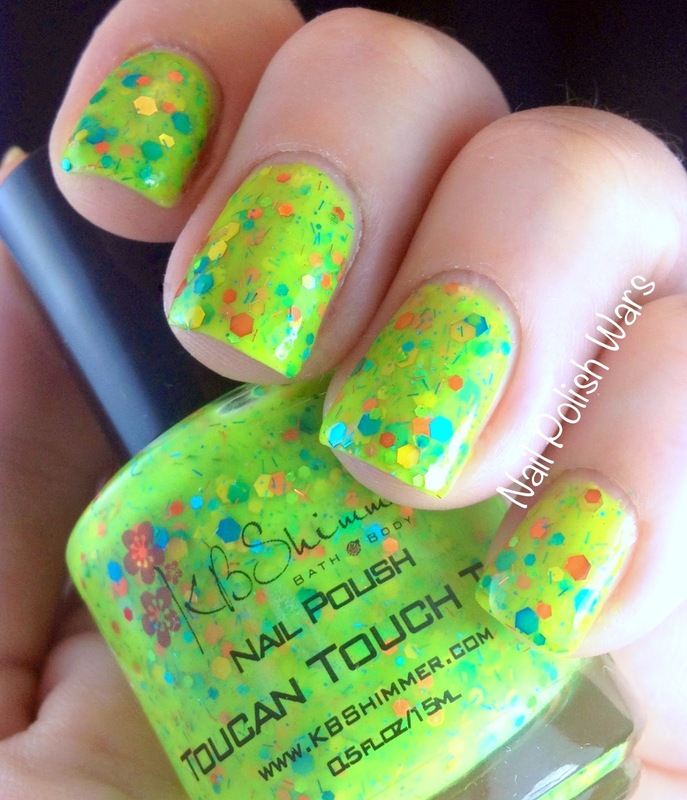 The KBShimmer fall collection can be purchased from their store at www.KBShimmer.com, as well as Harlow & Co. on September 1st. argh !!! mine are due any day - I so want No Whine Left and the Witchy one - exicted !!! 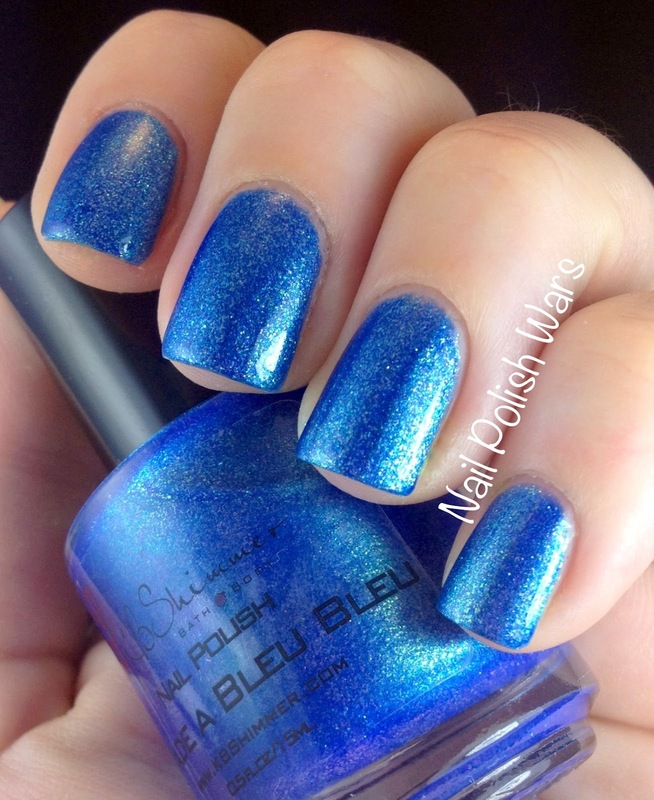 Oh my goodness, such amazing polishes. 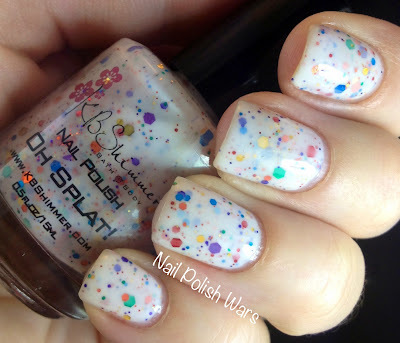 I really really want Oh Splat! and Jack, they are so unique! I love toucan touch this! Drooling Over These... Beautiful Swatches. OMG. 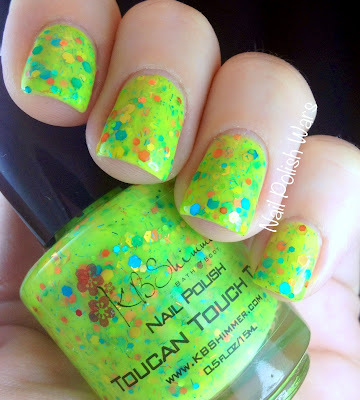 Love Oh Splat!, Toucan Touch This, And No Whine Left... Have To Have These!! Ohh, I really like Jack! It reminds me so much of The Nightmare Before Christmas.